Sunlight produces warmth, life, fuel and a sense of well- being. However, like fire and water—two other forces of great good—sunlight can be harmful if used carelessly. Most people are aware that too much exposure to the sun’s harmful ultraviolet rays can cause sunburn, aging skin, certain types of cataracts and skin cancer. But occasionally, it is helpful to be reminded of the dangers and how to be sun safe. A primary goal is to avoid getting burned in the first place. Sunburn is evidence of damage to skin cells. Repeated sunburns can lead to skin cancer and other sun-related health problems. Limit exposure to the sun by covering up, seeking shade or planning activities around the sun. When in the sun, apply sunscreen and lip balm with an SPF 30 rating or higher. Reapply as needed, but at least every two or three hours. Don’t forget to apply protection to your ears, scalp and lips—three spots often overlooked. Keep sunscreen handy at all times. Carry some in your tackle box, backpack or pocket every time you go outside. Wear sunglasses and a wide-brimmed hat to protect your face and eyes. Make sure your sunglasses block 100 percent of the sun’s UV rays. Wrap-around sunglasses and those with larger lenses add protection by providing more coverage. On the other hand, lens color makes little difference. Dark-colored ones don’t necessarily offer more protection than lighter-colored ones. Recent studies suggest children who spend more time outdoors are less likely to develop nearsightedness. The jury is still out on why there is a connection, but a theory is the outdoors provides better-quality light, as well as reducing the time kids spend watching TV, reading and on other close-up activities. June is not officially National Fishing Month, but it could be. This month offers prime fishing conditions and—better yet—there is no need to have a fishing license certain days in June and beyond. Freshwater license-free days: June 9-10. Saltwater license-free days: June 2-3, September 1 and November 24. June 2, National Trails Day. June 5, World Environment Day. June 18, Go Fishing Day. June 20, National Bald Eagle Day. June 24, Swim a Lap Day. June 25, National Catfish Day. June 26, National Canoe Day. June 27, National Sunglasses Day. Send us your favorite outdoor tip, photo or story. If selected for publication, we will send you $25 for one-time use. Tell us the story behind the picture, and remember to identify people and pets. Email your submission to moc.stnerrucadirolfnull@ofni. Many of Curtis Condon’s fondest memories involve outdoor adventures with friends and family, whether fishing with old school buddies, backpacking in the mountains of the Northwest with his sons, or bird-watching along the Gulf Coast with his wife. 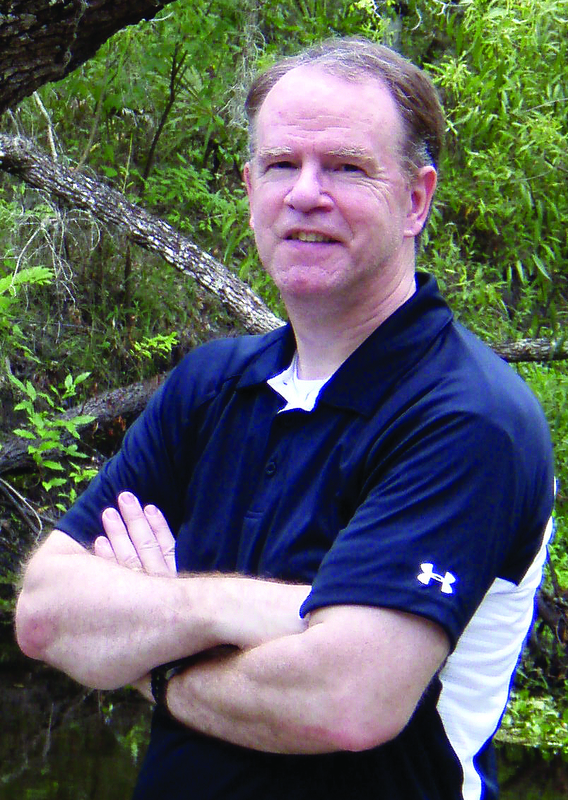 He feels fortunate having the opportunity to write about the outdoors and other subjects for more than 30 years.